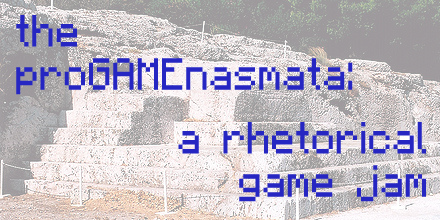 The proGAMEnasmata is a game jam based on ancient rhetorical exercises. Make your own game and submit it to the collection! A Twien game to teach people how to make Twine games! True love never hurt so good!